I just want to be Jerry Seinfeld, walking around in white sneakers and jeans, pockets full of money and a brain full of jokes. The comedian just sold a bunch of his cars, 17 out of 18 he took to a recent Gooding & Company auction, for a total fo $22,244,500. According to Jalopnik, Seinfeld sold a 1974 Porsche 911 Carrera 3.0 IROC RSR for more than $2.3 million and a 1960 Beetle for $121,000. Both of those cars beat out estimates by a pretty hefty sum, the news outlet explained, but a bunch of other cars actually sold below the auction house’s estimates, which is kind of crazy considering they were owned by Mr. Jerry Seinfeld himself. I guess auto collectors don’t really care who the heck owned the car first – they just want that vroom, vroom, baby. 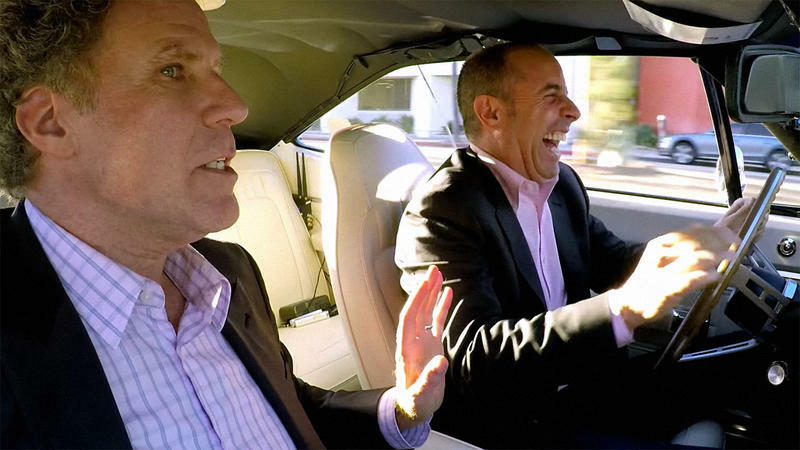 One of Seinfeld’s cars, a 2001 Porsche Carrera GT Prototype, didn’t even sell at the auction. Maybe it’s because it wasn’t actually capable of driving. Hit up the source for a full list of the cars sold by Seinfeld and a bit more information on why he actually wanted to dump them. The dude’s shows are still hitting the air as reruns, so I can’t imagine he’s actually broke. Maybe he has his eye on that Bugatti Chiron.